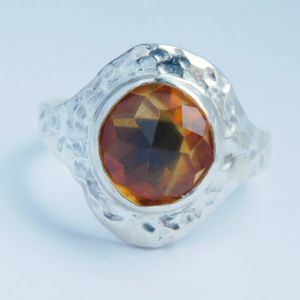 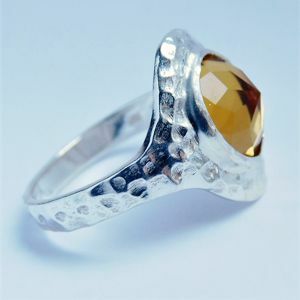 Inspired by the powerful sun, I created this Citrine Ring. 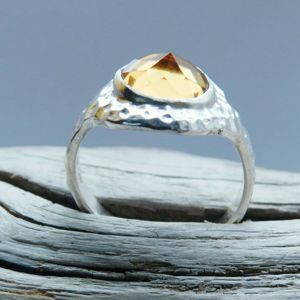 The Sterling Silver is hammered and features the 8 mm golden yellow gemstone. 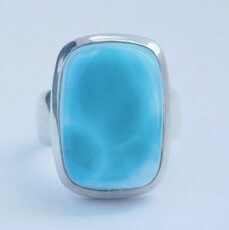 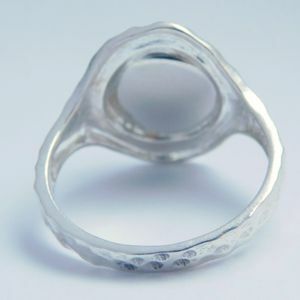 The ring size is 6.5, but if you want another size please feel free to ask me as I can adjust it. 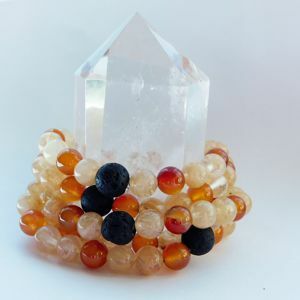 Citrine is the variety of quartz that ranges from pale yellow to brownish orange in colour. 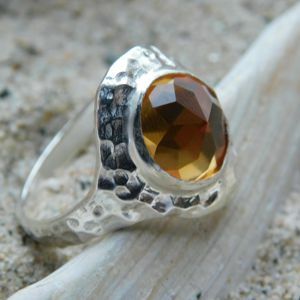 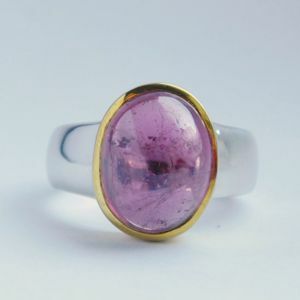 The gem is associated with the values of hope, cheerfulness, youth, health, and fidelity.